Our first banner from the year 2005. Every business has a story. That is one of the reasons we started Franchise Interviews. It is amazing and inspiring how ordinary people achieved extraordinary success through franchising. For example, Tony Lutfi suggested on our weekly radio show/podcast that he achieved the American dream through franchising. Tony Lutfi began working as a cook at Jack in the Box as a teenager. Today, he has grown his company - Marlu Investment Group - to over 150 franchised locations with several brands in over seven states. Franchise Interviews has recorded almot 600 interviews with frantrepreneurs from the world of franchising and entrepreneurship. Franchise Interviews started as a newsletter in the year 2004. We simply placed a FREE Franchise Newsletter banner (seen above) on several franchise websites and started to build subscribers. Once we got our list of subscribers to a respectable number, we were ready for our first franchise newsletter! Our very first interview was with a franchise opportunity from Australia called Kwik Kerb. We met with the founder of Kwik Kerb, Gordon Buckland as well as two of their most successful franchisees. They were a husband and wife duo called the Horton's. It is exciting to see how far Franchise Interviews has come since that first newsletter. Today we have thousands of aspiring entrepreneurs from all over the world visit our website and listen to our radio show! In fact, since launching our radio show, we have had over a quarter of a million listens to our radio show and podcasts. The studio where it all began! People are hungry for good vital content (Keyes, 2009). The reason we started Franchise Interviews is to give aspiring entrepreneurs an up close and behind the scenes look at franchising. There were too many franchise websites throwing information at aspiring entrepreneurs. Our mission from day one has been to educate, inform, and inspire listeners on entrepreneurship and franchising. 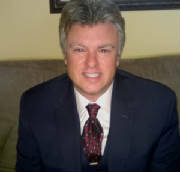 Marty McDermott, President of Franchise Interviews stated, "As someone who is auditory by nature, I thought it would be great to have a radio show on franchising and entrepreneurship. I was fascinated by the concept of Internet radio. There were no geographical boundaries and listeners could hear the show 24 hours a day, seven days a week on the audio archives." Most of our visitors are from the United States, however, we had visitors from countries like the UK, France, China, Australia, Israel, Italy, and Canada. We launched our first radio show on WorldTalkRadio in November of 2006 with the founders of P.B. Loco. 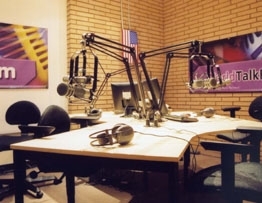 WorldTalkRadio was acquired by a competitor and we felt we needed a more comfortable place to call home. That place was BlogTalkRadio! To date, we have recorded over 500 shows. There are now thousands of listeners to Franchise Interviews. We have interviewed some of the biggest names in franchising as well as introducing some exciting new concepts in franchising. We joined the Blog Talk Radio family in December of 2007. There are so many reasons we loved Blog Talk Radio. BlogTalkRadio.com was created by Alan Levy and Bob Charish in August 2006 and features a variety of topics on business, sales, politics, leadership, education, travel and more. BlogTalkRadio.com has featured some of the biggest name guests in the world. BlogTalkRadio.com is the largest Internet radio talk station that currently has an audience of over 650,000 unique visitors each month and over 3.5 million page views on a monthly basis. Before launching the weekly radio show, Marty McDermott appeared on Anita Campbell's popular radio show call Small Business Trends Radio. The topic was "Franchising In The New Millennium - The Latest Trends." The show aired on August 22, 2006. Franchise Interviews was featured in the Franchise Times Magazine Spotlight section. It was a two-page article written by Nancy Weingartner. Click here to read the article online. Franchise Interviews also appeared on CBS radio with Coach Lynn Johnson, WVOX Radio with Dr. John Tantillo, MeetAdvisors, Stop Riding the Pine and Enterprise Now with Elzie Flenard. ENTER THE WORLD OF SYNDICATION! Franchise Interviews is also excited to announce our most recent syndication on Radiopublic, Stitcher Radio, TuneIn.com, Ubook, PlayerFM, Castbox, Listen Notes, Podparadise.com, AnchorFM, Mixcloud.com , Overcast, Podcasts.com, Podchaser.com, iTunes, and Blubrry! You can hear the whole story of Franchise Interviews by listening to an interview with our President Marty McDermott, who was a recent guest on the popular show, "Stop Riding The Pine", hosted by Jaime Jay.